Professional Luggage Carts for Skycaps, Airports, and Hotels. Carpeted Decks to protect luggage. 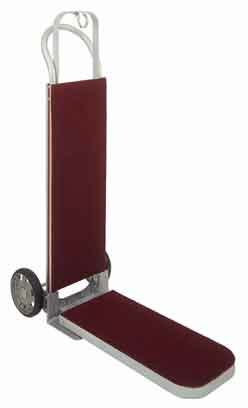 Magliner Luggage Hand Truck "FREE SHIPPING"
* Must ship by truck. Freight costs will be added later and costs will be forwarded to You and approved by You before shipping will take place.